Air Astana passengers holding Indian passports can enjoy 72 hours visa-free stopovers in Kazakhstan with effect from April 23, 2018 until the end of the year. 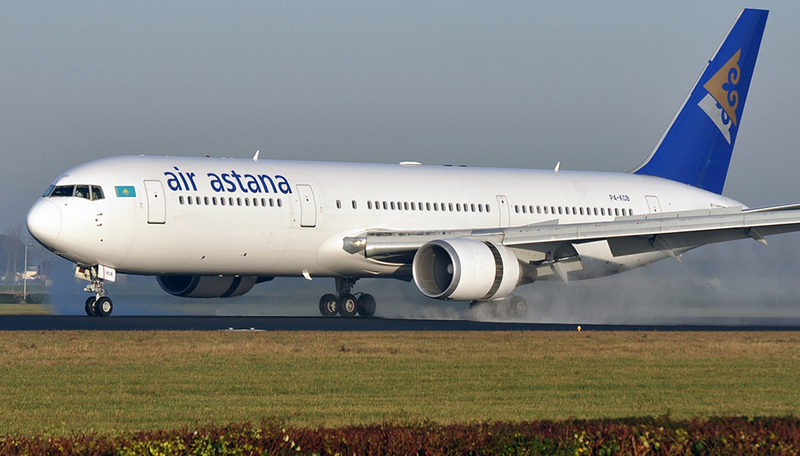 Air Astana is allowing passengers to 72 hours visa-free stopovers in the central Asian country of Kazakhstan with an aim to increase outbound traffic in the region. Passengers with Air Astana flights transiting in Almaty and Astana simply need to notify check-in staff at the point of departure in order to enjoy the benefit of a visa free visit. Air Astana offers Delhi – Almaty daily flights and a Delhi – Astana service three times a week operated by modern Airbus and Embraer aircraft. The direct flight connecting the capitals of India and Kazakhstan was introduced on July 2, 2017. “Air Astana has been enjoying significant growth in transit traffic through the Almaty and Astana over the past two years, particularly from New Delhi,” said Richard Ledger, vice-president marketing, and sales, Air Astana. “I’m in no doubt that the introduction of 72 hours visa free entry to Kazakhstan for Indian passport holders will further boost transit traffic. We look forward to welcoming more Indian passengers on Air Astana flights and hope they enjoy the attractions of Almaty and Astana; particularly given our USD 1 Stopover Holidays program that offers one night accommodation with breakfast and return airport transfers,” he further added. Air Astana is Kazakhstan’s national air carrier and is a joint venture of Samruk Kazyna Sovereign Wealth Fund (51 pc) and BAE Systems PLC (49 pc).